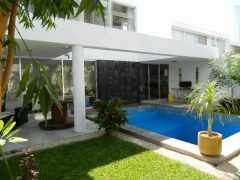 Casa Aleman Moderna. 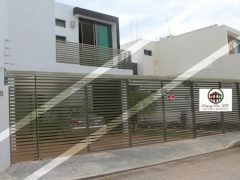 Modern house in Mérida. Lot Size: 445 sq. 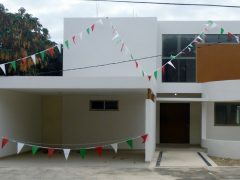 m.
New Home for sale in Merida Yucatan! 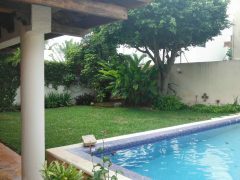 Located in a great neighborhood located conveniently to centro and several shopping zones such as Sendero and Altabrisa. This home features parking for two cars, service room, kitchen with granite countertops, living room, dining room with high ceilings, full bath in living area, downstairs master bedroom with large closet and bath, pool, well, terrace and sun deck. Upstairs features 3 bedrooms, two baths and a tv area. Fantastic price for this area. Contact me today for a showing as this is not expected to last on the market for long. We can help you with purchasing property in Mexico. 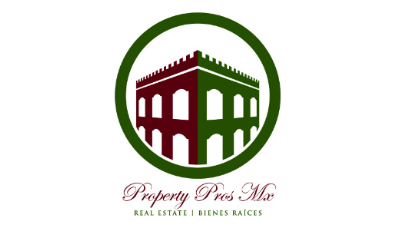 We are your only professionals in Merida Yucatan Real Estate. 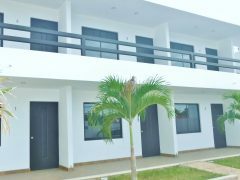 Leandro 14 will offer you 5 Homes with an excellent distribution and great spaciousness, located at 14 x 45 street of Colonia Leandro Valle. 3 bedroom spacious home, in two levels with First Quality finishes. Zone at the best price! Merida Real State, great investment in Merida. 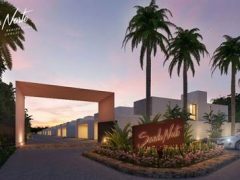 28 homes will be part of the Antigua Residencial private road. We’re located at a zone of high added value. 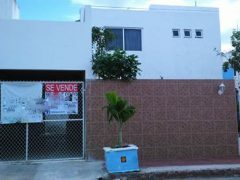 Just a few steps from Macroplaza mall, supermarkets and Altabrisa zone. We’re located at the Colonia Santa Maria. Security, calm and exclusiveness for those who look for the best House of the Zone at the best price. Green areas and a park with walkways and a playground for the kids. Bedroom 1, with altogether bathroom. Dimensions 3.5 mts x 4.5 mts. Bedroom 2, with altogether bathroom. Dimensions 3.5 mts x 4.5 mts. Main bedroom with all together bathroom and balcony. There’s a model that has a dressing room closet. Model C dimensions 4.55 mts x 3.5 mts. Space to build an additional bedroom in the upper floor. Delivery in October, 1st phase homes. 15% of the home value, for the signing of the purchase agreement promise. Prices held to changes without prior notice. 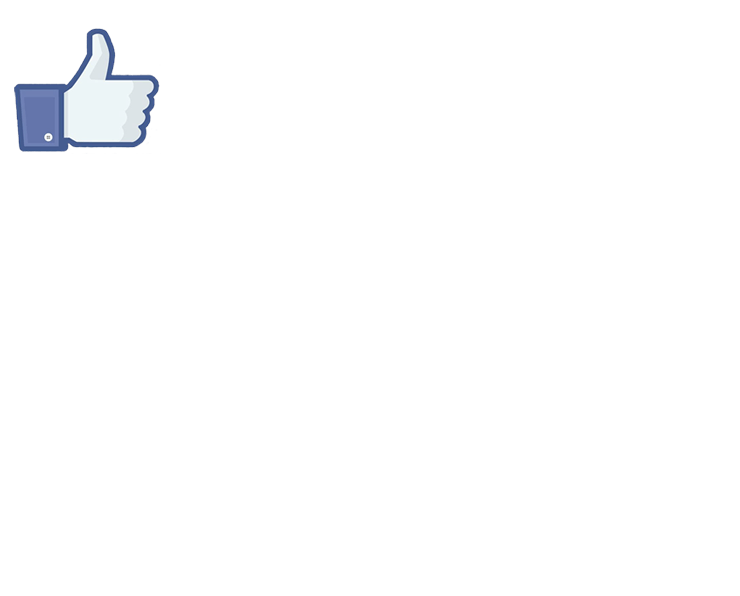 Comments Off on Incredible Opportunity!